I shoot only film and have many favourites that I could add. I like Fuji, can you tell? Enjoy shooting film and I look forward to seeing other people’s favourites. The novelty with film has really been deflated by digital. What made film so neat was the different variations of both White Balance and Saturation. Velvia was always my favorite for landscape work. Tungsten film was a real neat type of film to work with because it gave a nice cool look to interior photos and exterior night shots. To date if I’m shooting night work I’ll still fall back to Provia 100. It’s a hardy film not subject to much reciprocity failure. What I don’t miss about film is the scanning and the softer look. Scans never carry over the sharpness of the image as well as what you get inherently out of a digital image. I’m curious to see what you end up with from your experiments. Ron, I think it’s mostly out of curiosity on my part. I’ve never shot film before and I have a few online buddies who shoot a lot of film (some even exclusively). Many of them have encouraged me to give it a try, so here I am. I’m really liking it so far — it’s a totally different experience, but on familiar ground. I feel comfortable with most cameras, but the film aspect adds a bit of challenge and uncertainty. I’m also using a totally manual camera (the only reason it has a battery is for the TTL light meter), so it’s drastically different than shooting manual with the digital camera. I’ll be writing a few posts here and there about my experiences with film as I get deeper into it. In fact, I’m planning on posting a little something tomorrow. For smooth, rich black and white photos, I love the grain of Pan F Plus, but the low ISO speed keeps that film restricted to tripods and/or studio lighting. For crisp, punchy black and whites, Tri-X has no equal, and can be pushed well past 1600 for extremely low-light shooting that no digital camera can compare to. Most color films, whether negative or positive, fall short in my mind when compared to the quality of even an average-quality digital camera… but there is something about Agfa Ultra 100 that makes it really fun to use, especially in an old camera with low-quality glass. And speaking of old cameras… if you’re going to play with film, don’t cheat yourself of the awesome experience of using some ancient gear. You can find working 35mm cameras on e-bay for pocket change. Try a Zorki 4k rangefinder… you’ll love it. Thanks for the insights Randy — I’ll have to pick up some of those films when I go back to the photography shop tomorrow. I’d like to find a black & white film that resembles my digital black & white styles. On the subject of cameras, I’m certainly using some “ancient gear” — at least in my eyes. My Dad gave me (though he says he’s letting me borrow) his Minolta SR-T Super, which is the Asian version of the SR-T 102 from the early 70′s. Fully manual with the only luxury feature being the TTL light meter. For me, setting the exposure manually is no biggie, but the manual focus is something new to me (since digital cameras do a piss-poor job at it). The camera is a clunky old beast, but it’s a real hoot to use. Eventually, I wouldn’t mind picking up a rangefinder too and trying my hand at it. I’ve only tried a limited range of films, But Fuji Velvia and Reala are something else altogether… Great saturation and colours. Strangely, facilities for processing and printing film at high professional standards are disappearing in India as digital takes over! It’s absolutely fantastic when a digital photographer will reach to the roots of his/her hobby. I grew up with film and I’ve always felt that I have a better understanding of how a camera really works than most newer photographers. I think that using film really makes you consider much more when composing and preparing each shot. Film is expensive compared to the unlimited potential of memory cards so you have to be more cautious about each shutter trip. I promise, you will become a better photographer for practicing this way. 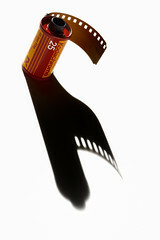 With the slide film there is no room for arror on the exposure. While I added the Konica VX, it’s not a film that you can buy anymore, and I haven’t found a sourceable equivalent. I have a few places I can still get it, but all the rolls are expired – although that sometimes brings nice results. TriX. Deep contrast, awesome blacks. Ilford XP2. Smooth, but best shot 400 or below (can go down to 160 with no change in processing) to keep the contrast high with a glassy effect. Tmax 400. A really nice general film which is similar in looks to TriX, with large grain for a 400 speed film. But that’s why I like it. Ilford PanF. 50ASA, so restricted in terms of where you can shoot it, but great for long exposures such as a beach scene. Tiny grain with nice contrast. Fuji Neopan range. My personal favorite is the 1600 shot with a R25A filter. For the deepest blacks to beautiful highlights with nice grain all over, this combination can’t be beat. Combine this with a rangefinder and you’ve got the perfect street setup. Colourwise I’m not so sure. I’d defintiely try Xpro’d slide film at least once, as that seems something you’d like, with my personal favourite being Ektachrome. But, I’d shoot some slide as well. Nothing beats seeing your image in positive on the actual negative. The fuji 1600 Natura is nice. Fast film (colour) so high grain, but there are some situations where this is desirable. Ending the randomness, Ilford 3200. This can’t be beat. Still my most favourite shots of yours are those of Jessica where you played with the grain. Done right, 3200 is such a fantastic film. You could even stick a r25A filter on to bring out the contrast even more, and open up the options for shooting. The filter will drop the light intake by 2 1/3 stops (your internal TTL will do this automatically), meaning that the effective ISO drops to around 800, opening up the potential for using this film in the day time for shots with massive DoF (restricted to f11-22, but keeping this in mind can beautiful locational portraits etc). I’ll remember that when you “loan” me one of your really cool 10mm wide angle. You might not get it back. Yeah but here’s the difference: I actually use my 10mm lens. When was the last time you shot a roll of film? 1980-something? Just admit it, you weren’t planning on using it any time soon.